According to the latest rumors shared by reliable insiders, the guys from Cupertino won’t release iOS 8.4 at their Worldwide Developers Conference that kicks off this Monday. Instead, the debut of the next generation of Apple’s mobile operating system will take place later in June. 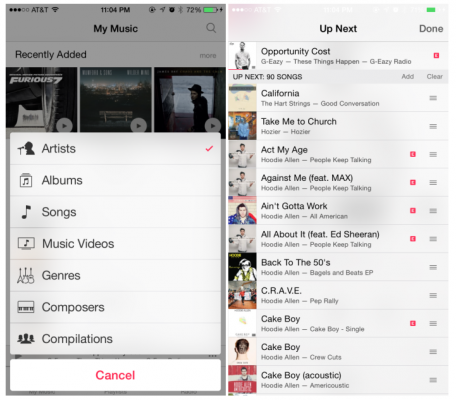 As you probably know, iOS 8.4 will boast of a completely redesigned Music app with the support of the long-anticipated Beats-based streaming music service and possibly a bunch of other interesting features. Apple had originally planned to release iOS 8.4 following the WWDC Keynote on June 8th, but we’ve heard that it’s currently planning to release it during the last week of June. As we also first reported, the new services will be available as a new app on Android for non-iPhones. The new services will likely also be available on the new Apple TV. Apart from announcing Apple Music and iOS 8.4, Apple is also expected to show us both iOS 9 and OS X 10.11 with slight design improvements, new Home app and a number of other things. Stay tuned for more articles about this year’s WWDC and Apple’s latest announcements.